Ziltron uses advanced software techniques to measure all elements of the user experience. This is not confined to comparing individual 2-D selections versus the truths, but also includes detailed data on the user’s interaction with the system during the test. In certain situations the user's confidence rating is also recorded to give additional statistical feedback. Our unique solution can provide you with detailed visual representations of results to help you simplify your analysis. Visualization is available in several formats including distribution graphs, heat maps, and marker maps. Ziltron test sets are optimized for web-based systems. Our quality pre-selection and review process ensures all test sets are validated, tested, and proven prior to being made available online. Instant feedback and reports are provided to make decisions quickly. See the report you want online, in real time. Analyze test-sets and view performance distributions in real time to facilitate continuous improvement of your quality/education programs. 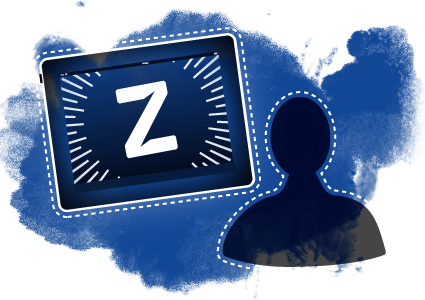 The Ziltron system can be deployed as a web-based, stand-alone or hybrid system. These options are designed to operate across a number of computer platforms, internet platforms, tablets, iPads, and smart phones. We provide you with access where you need it, when you need it. These flexible access platforms will help you reduce/eliminate disruption to your busy schedule, and enable you to deploy programs across mutliple geographical areas simultaneously. Ziltron Pro is a performance, quality assurance and educational tool that tests knowledge in areas such as radiology, pathology, dermatology and endoscopy. Ziltron Pro is available in a multitude of access platforms including a web-based system, standalone PC and Mac applications, iPad, iPhone and Smart Phones. Access at anytime from anywhere. Use the system at a time and place that suits your needs. We use best practices in web technology, data integrity and security. Ziltron asks you how confident you are in your selection/diagnosis by selecting a number from a confidence scale. These confidence ratings are used to compute advanced statistical metrics of performance such as ROC and JAFROC. The precise location(s) of your diagnosis can be selected and recorded on screen. Your results are saved and to compared to the expert diagnosis, which in turn is used to generate your performance report. Allows you to adjust and chose the best possible visual environment to increase the probability of an accurate diagnosis. These options include zooming, windowing, and image default reset to help replicate your working environment. A results page is automatically generated giving you a detailed account of how you performed including a sophisticated statistical break-down of your performance including ROC and location sensitivity. Results can be printed, emailed, and shared. Immediate feedback is one of the highlights allowing you to compare your selections against the truth in each case. Full zooming, windowing and navigation is available during feedback. You can also toggle on/off the truth for an optimal learning experience. 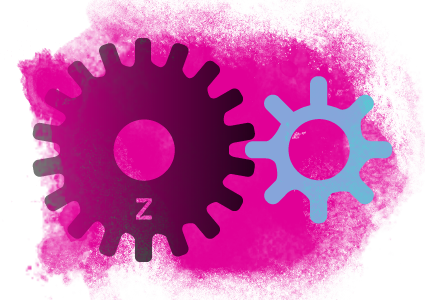 Ziltron provide a comprehensive range of services to support the design, implementation, review and enhancement of our solutions. We have the experience and expertise to ensure you maximise your return on investment and seamlessly integrate our solution into your environment. The Ziltron Director Management Suite puts you in total control of your CME, Quality Assurance and accreditation programs. The management platform controls, monitoring and captures data points of all levels of user interaction with the system. 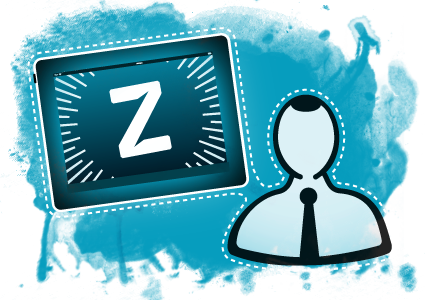 The Ziltron Director also allows the administrator to adjust and set performance thresholds for test sets to suit the target audience. This can be used to build a multi-level system where advanced levels of accreditations can be deployed on a per user basis, based on successful completion of the existing test level set by the administrator. The system also enables test sets to be assigned on an individual or group basis, and gives instant access to detailed analysis and reports including Ziltron’s “Heat Map” consensus application. Administrators have full control of user profiles, access levels, and assiging test sets. The administrator can give users full control over thier user experience during the test, or create a controlled environment where the administrator controls all user settings. Our unique solution can provide you with detailed visual representations of results to help you simplify analysis. Visualization of results is available in several format including distribution graphs, heat maps, and pinpoint location distribution. Instant feedback and reports to make decisions quickly. See the report you want online, in real time. Analyse test sets and view performance distributions in real time. Each case and test set goes through a rigorous review process. Several factors are taken into consideration during test set selection including case history, expert opinion, and skill levels of professionals taking the test. Each case image is optimised for the test set, and each test set is reviewed, tested and analysed prior to launching. Detailed reports and analysis are available at every level throughout the system. You can analyse the system at case, test set, individual and group level. This analysis can be used to determine what adjustments need to be made at each level to improve the system and enhance the visual perception and diagnostic skills of professionals. Specializing in the field of user observation, the system monitors and measures Graphical User Interface (GUI) tools such as zooming, windowing, and image navigation. The application also records the duration of individual case selections and the overall test set. This detailed data is ideal for research. 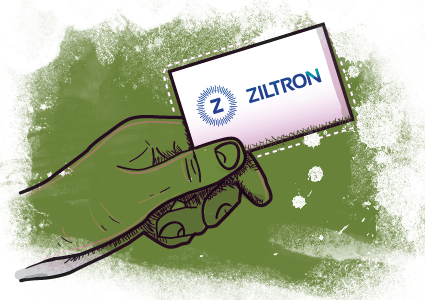 Ziltron is much more than a software company. We provide a comprehensive range of services to support the solution. Our experience and expertise ensures seamless integration into your programs and processes. It’s the combination of innovative software solutions, expertise in design, deployment, and implementation that sets us apart from other software providers. 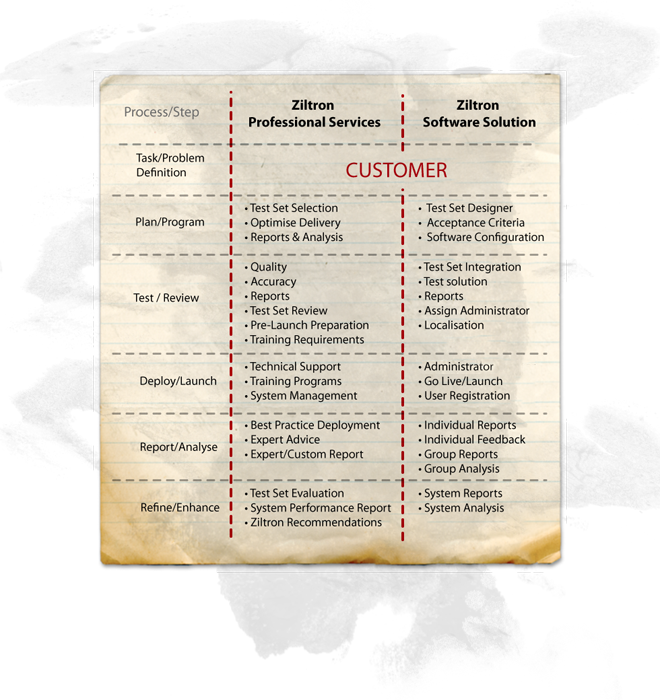 Ziltron can partner and support you throughout your project/program, leveraging our experience, expertise, and innovative software solutions.